Must See ES 350! Back up Camera, Bluetooth, Voice Command, Subscription Free Traffic and Weather Updates via HD Radio and more! CARFAX 1-Owner, Excellent Condition, L/ Certified. FUEL EFFICIENT 30 MPG Hwy/21 MPG City! Call 210-816-6000! Back-Up Camera, Satellite Radio, iPod/MP3 Input, CD Player, Onboard Communications System, Aluminum Wheels, Keyless Start, Dual Zone A/C. MP3 Player, Sunroof, Keyless Entry, Remote Trunk Release, Steering Wheel Controls. ACCESSORY PACKAGE 2 Cargo Net, Carpet Trunk Mat, Rear Bumper Applique, Key Gloves, Alloy Wheel Locks. 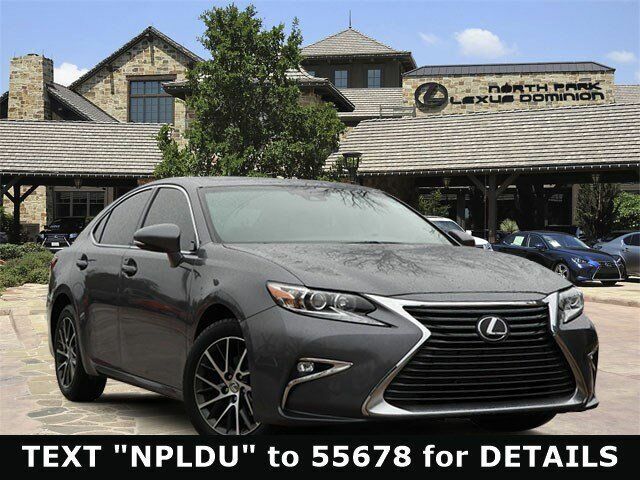 Lexus ES 350 with Nebula Gray Pearl exterior and Stratus Gray w/Piano interior features a V6 Cylinder Engine with 268 HP at 6200 RPM*. Exceptionally Clean, Great Color, Local Trade.